The central argument – which might rankle were it not so meticulously made – is that as critical hydro-social scientists we have been getting things wrong for years. Schmidt contends that the old story about the separation of society and nature under modernity and the entrenchment of binary Enlightenment thinking does not apply to water management. The conceptual starting point of many critical scholars, of the transformation of naturally occurring and materially messy 'water', to the industrial product 'H2O', delineated, separate from nature, is, according to Schmidt, a false premise. 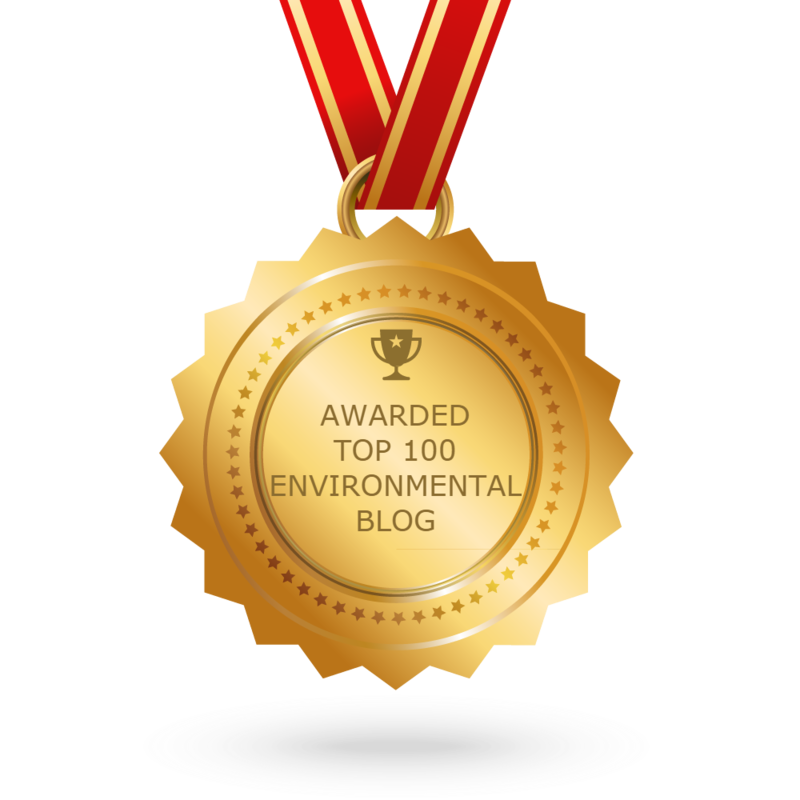 The logic of water management conceived in the United States in the late 1800s, that has since spread across the world, has instead always connected human society, through water, to the land and geological history in particular and politically significant ways. "The difficulty", he argues, "is not a society/nature dualism or even unique human agency. Rather, the problem is the historical attempt (and ongoing consequences) of a failed strain of social science in the United States that sought to do away with the society/nature dualism" (190). This philosophy of water, through which American (and now global) societies are intimately connected to the land, is given the conceptual handle of 'normal water'. By this, Schmidt refers to the "program of bringing water’s social and evolutionary possibilities into the service of liberal forms of life" (6). Normal water, then, describes a normalised and entrenched set of socio-cultural practices, economic conventions, technological and institutional structures, and geological processes, that link together human society, biological life and planetary evolution under the logic of liberalism. The book traces the development of normal water through its inception at the beginning of American expansionism, its internationalisation under post-war development, and into the Anthropocene. 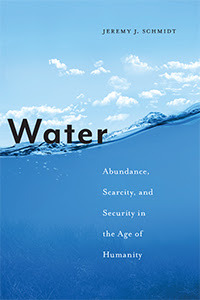 The political, techno-institutional and conceptual emergence of normal water, according to Schmidt, is premised on three assumptions: "that water was once abundant, that it has now become scarce, and, as an outcome of mismanaging scarcity, that water is now an issue of security" (41). The book is correspondingly structured into four parts. Part one, Abundance, concerns the framing of water as a resource central to the development of American society. It focusses on several key figures associated with the Washington DC-based Cosmos Club around the end of the nineteenth century and beginning of the twentieth, notably W.J. McGee and John Wesley Powell. Water was seen by these men as having geological agency that, if combined with human agency, could form the basis of the most advanced form of liberal society. 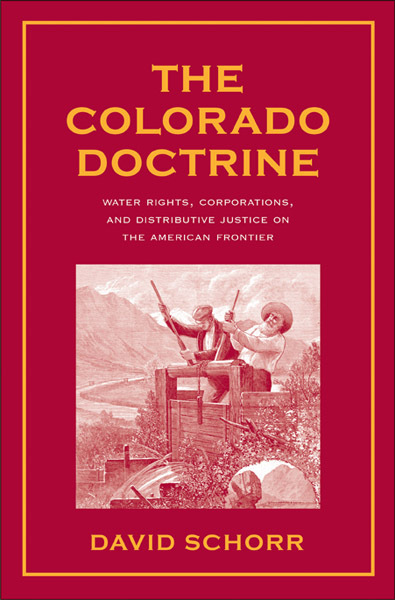 The driving principle of normal water in the era of abundance, Schmidt says, was that the agency of water could be "synced with the coevolution of American society and the mutual adjustments that water and society made to each other" (79). In an attempt to cement American independence from European colonialism, W.J. McGee even proposed that currency should be tied to water rather than the gold standard. In this respect he was unsuccessful, but the corresponding principle that water was a public good that should be managed for 'the people', Schmidt argues, has formed the bedrock of normal water. Part two, Scarcity, considers the transition of water from an abundant 'free gift' naturally replenished to a scarce resource increasingly subject to comprehensive and 'rational' planning. Schmidt’s argument focusses on the development of the Tennessee Valley Authority model of water management as a flagship project of the post-depression New Deal. Core hallmarks of the TVA, the book identifies, were the regionalisation of decision making as a form of rejection of colonial coreperiphery resource relations, and a belief that individual and national potential should be developed on the basis of a "unity of watershed management and democratic methods" (114). 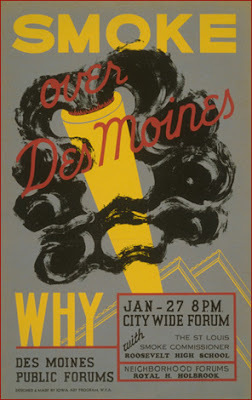 The TVA model, Schmidt contends, became central to U.S. international development efforts in the 1950s, 60s and 70s. In other words, in the era of scarcity, normal water, premised on the idea that water mediated the social relations of political liberalism, was exported around the world. Yet, according to Schmidt, the creation of liberal abundance through the roll-out of normal water has come at the cost of social and ecological potential. "[M]any possible avenues for evolutionary abundance", he argues, "are now buried under the reservoirs held by the large dams needed to support, and in many ways prove, liberal democracy" (95). In part three, Security, the book traces the evolution of normal water through the parallel emergence during the 1980s and 90s of neo-liberal forms of socio-material governance, and of the sustainable development agenda. This has been foregrounded, Schmidt argues, in two steps. First, the 'procedural turn' has applied a set of universal social and economic principles to water management (such as governing water as an economic good) that trump other forms of liberal subjectivity (such as the earlier clarion call to govern water for 'the People'). Second, the rise of notions like Integrated Water Resource Management and nexus thinking that connect water management to individuals, societies and ecosystems without appealing to symbolic or intrinsic goals. "Water security", according to Schmidt, "was now firmly established as the way to link multiple social worlds to 'one blue planet'" (178). Scholars like Karen Bakker, Erik Swyngedouw and Jamie Linton (who are the particular hydro-theorists that Jeremy Schmidt counterpoints) use water – and the social and material relations that flow with and through it – as a heuristic vehicle in their research; an explanatory device to illustrate broader arguments about modernity, capitalism, social power and so on. By contrast, in this book Schmidt situates water as the connecting element between things, people and politics. Water sits, as Schmidt argues, "at the confluence of claims about human impacts on Earth systems, economics, and governance" (183). In other words, in terms of materialist thought, water is given ontological priority, conceptualised as materially different to other resources or environmental elements. This may just be a function of the particular material covered in the book, and perhaps a reflection of the views of its main protagonists, who really did espouse what we might call 'water exceptionalism'. Nevertheless, when it comes to extrapolation, the result is that the broader conceptual contributions of the book (i.e. those not relating directly to water) are at times underplayed.